This Dinner Fork from Update International is a bit different than the traditional dinner fork. 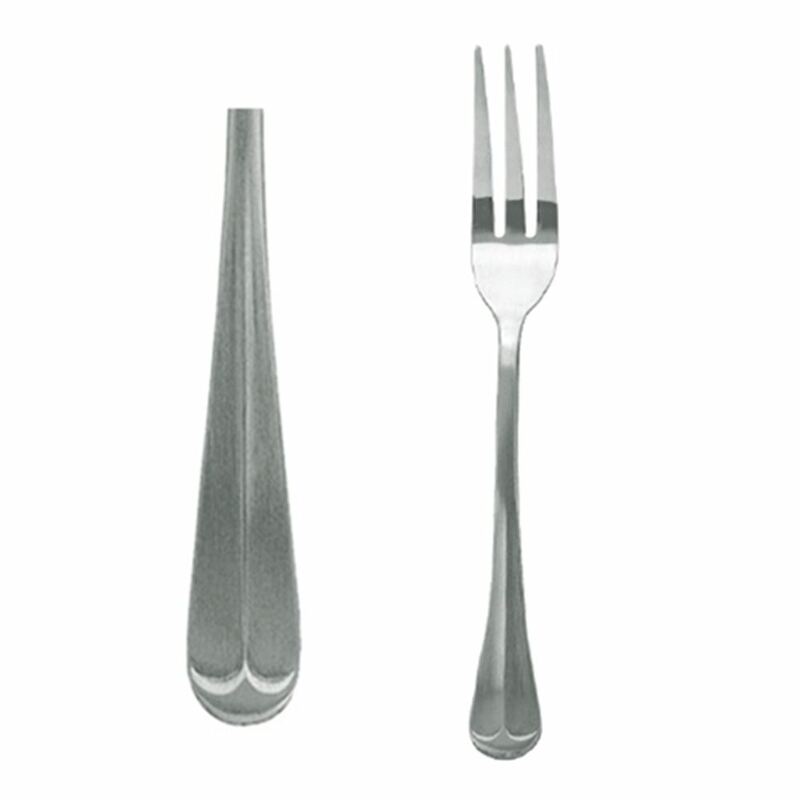 Part of the Chelsea collection, this fork has four tines rather than the standard three tines. With a 18/0 stainless steel body, this piece of flatware, it has a satin finish to provide a durability as well as a classic style to any type of table setting. Use this dinner fork in a restaurant, bakery, or in a home dining room, it's versatile enough to move seamlessly. A 2.2 mm thickness classifies this dinner fork as a heavy weight utensil that won't bend or break.